For Labor Day Weekend we decided to get out of the valley and head north to the Grand Canyon. This is Part III. We arrived at Grandview Point early Sunday morning before the sun appeared. Below is that early morning view, looking northeast. 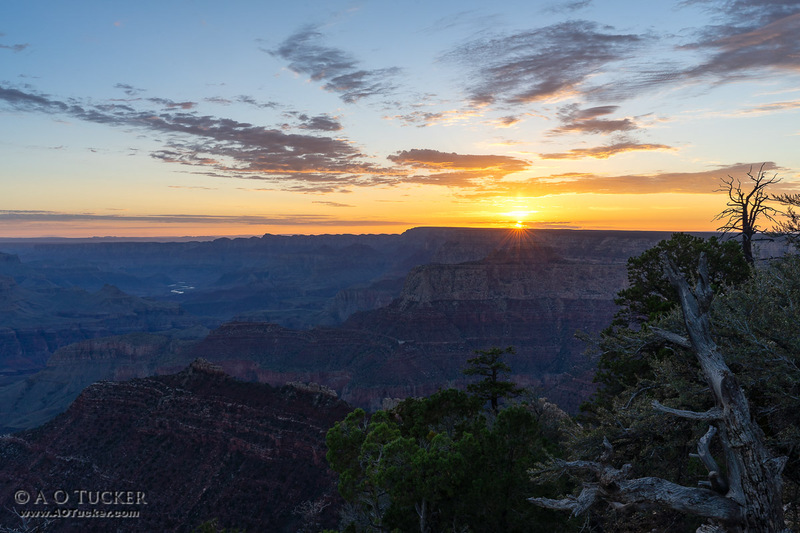 Below is that magic moment as the sun begins a new day at the Grand Canyon. A few moments later as morning’s first light reaches the temples and the sky becomes a brighter shade of blue. Grand Canyon Village is where you find most of the tourist, but in the morning you normally miss the crowds. Our first stop is at the Harvey House Cafe at the Bright Angel Lodge, which is our favorite place for breakfast at the Canyon. Like usual we sit at a booth with a window view of the canyon and share the Bright Angel Breakfast (scrambled eggs, bacon, hashbrowns and toast) plus coffee. 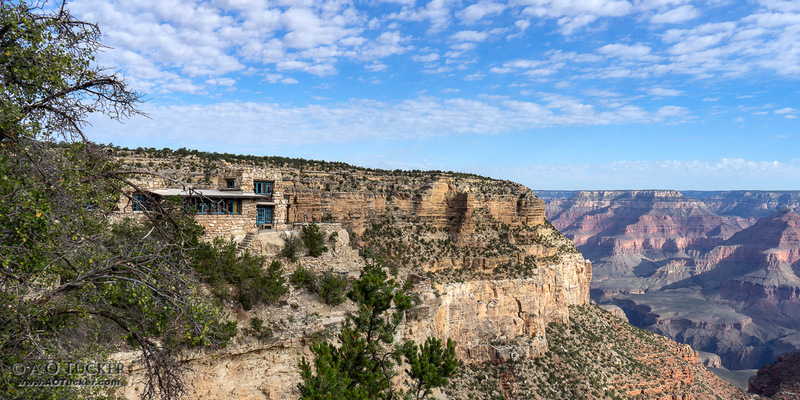 The lodge was build in 1935 and is located on the edge of the canyon. It was designed by architect Mary Jane Colter. Below is the view of Lookout Studio after you exit the canyon side of the lodge. A few hours later, and all of the view points at the studio will be full of tourist enjoying the view and taking selfies. 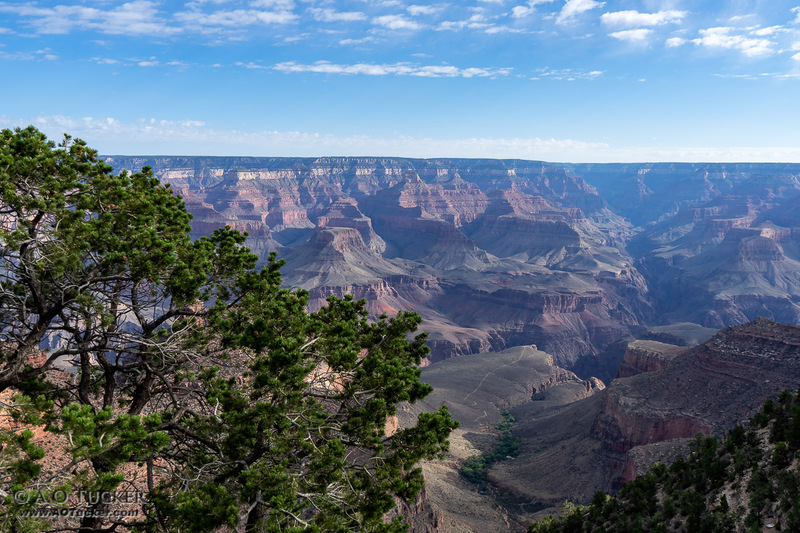 This view is from the Rim Trail, near Bright Angel Lodge. 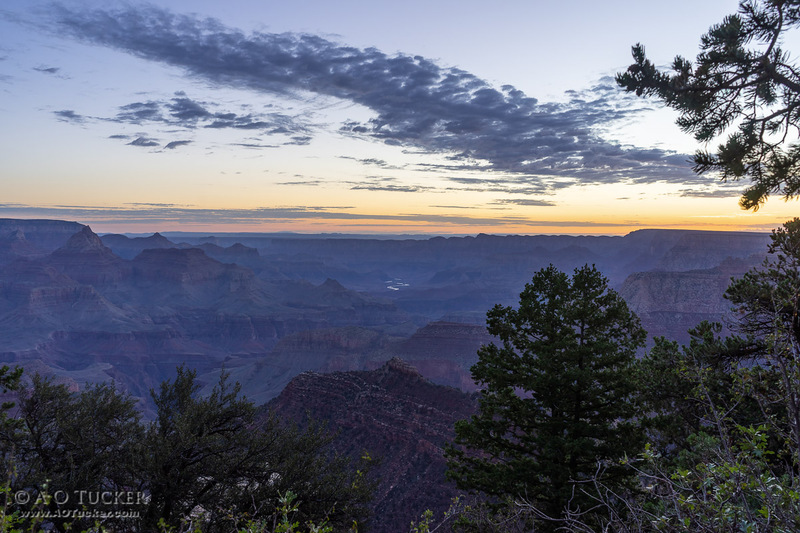 The trees you see below is the Indian Garden Campground and is about 4.8 miles from Grand Canyon Village using the Bright Angel Trail. 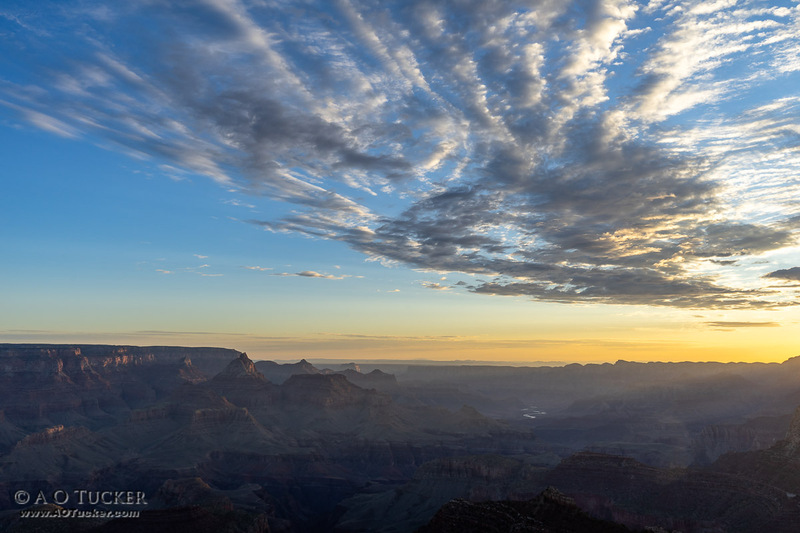 The Bright Angel Trail is the most popular trail on the South Rim and takes you to the bottom of the Grand Canyon. The trail to the left of Indian Garden is the Plateau Point Trail. 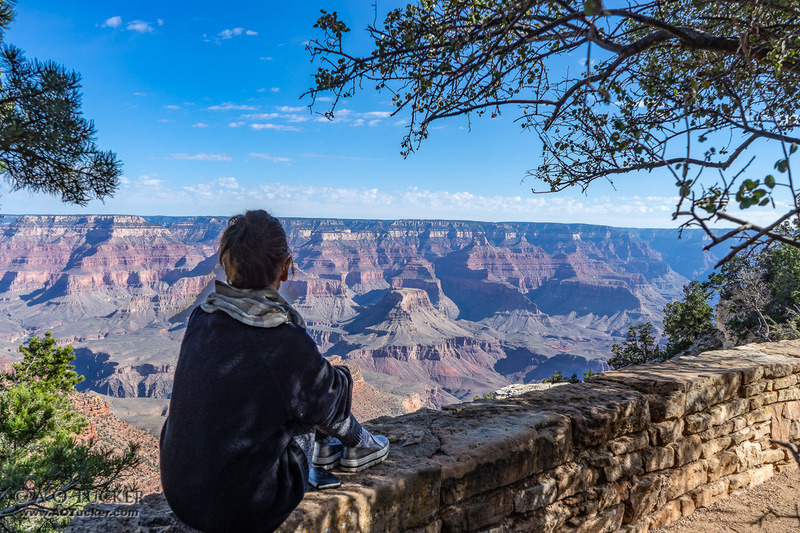 Enjoying a quiet moment along the Rim Trail between the Bright Angel Lodge and the El Tovar Hotel. For our trip back we take the less traveled route, south on State Route 64 to Williams, west on Interstate 40 to Ash Fork, south on State Route 89 thru Prescott, Peeples Valley, Yarnell and Congress, south on U.S. Route 93 to Wickenburg, south on U.S. Route 60 to Surprise, then South on the 303 toward Interstate 10. 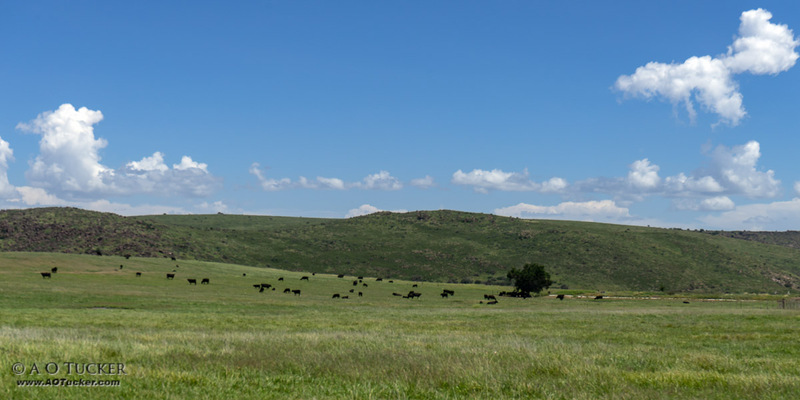 Below is a view of Peeples Valley. 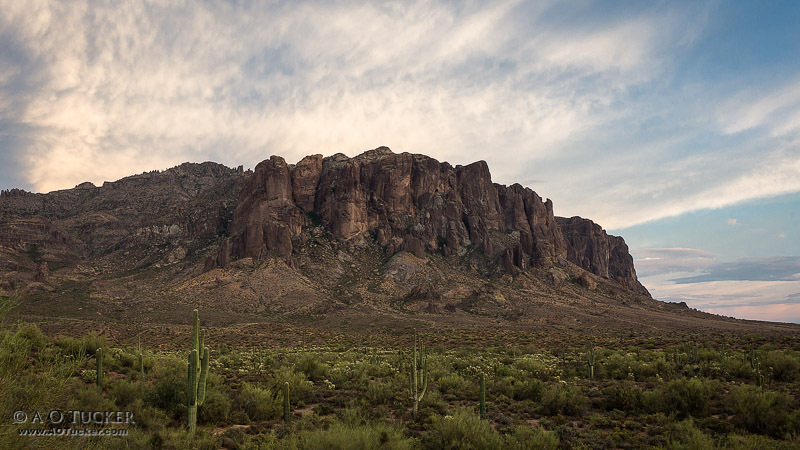 Peeples Valley was named after prospector A. H. Peeples.